The KTV Group provides expertise in rope access technology. 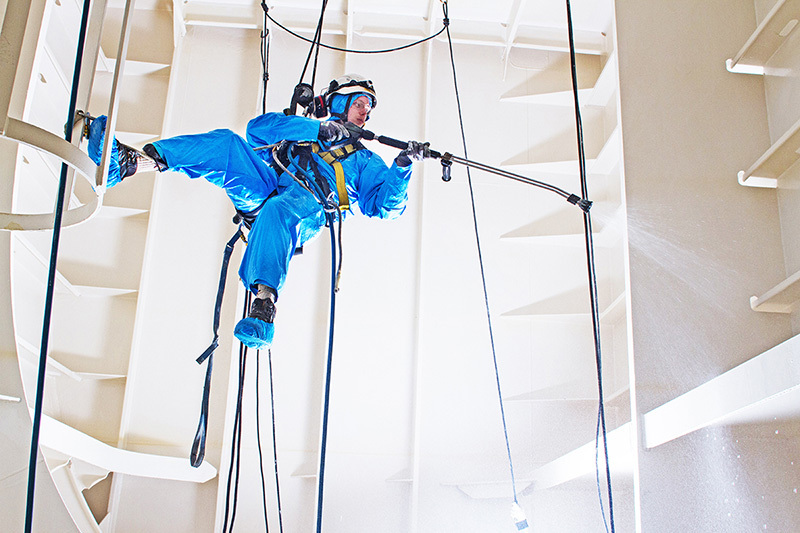 We can provide any kind of service involving rope access technology. The most important thing to consider when planning rope access work is to get the right people for the right job. Advance planning and gathering information needed to execute a job is the key to safe and effective work. Our quality control system is designed for this purpose, and our BlueTag project management tool allows us to plan jobs in which the participants have all the information they will need in the form of text, images and video. We have compiled a database of our past experience, which is now a very important part of planning. The KTV Group also has access to other kinds of technology such as robots that climb using magnets. KTV has its own team of climbers. They have all undergone training and are certified in the use of rope access technology and techniques. Our certified climbers use the latest in modern access technology, so our customers get work done safely at the right price. We use such tools as electric rope crawlers to ascend and descend faster. This allows the technicians to move quickly across large areas. We can climb just about anything on rigs and ships, onshore and offshore. Climbing has been considered a dangerous and irresponsible hobby for many years, but offshore hundreds of people make a living climbing – carrying out inspections, mechanical work, surface treatment, cleaning etc.